In my personal experience, a 22″ monitor was rather small (it’s hard to get immersed when the whites of the walls are still visible) and a 40″ flat-screen television was far too overwhelming (you need to move around your head to see everything). 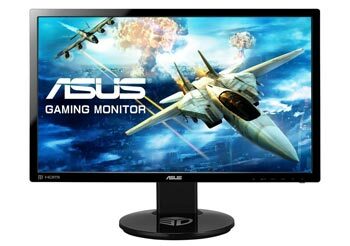 After testing numerous monitors, in my personal experience, I would that 25″-30″ is ideal, filling the range of vision without exceeding it. The current market is still dominated by 20″-24″ monitors, so for the time, bigger is better. Paying extra for 2 more inches sounds trivial, but those inches are applied across the whole screen and the whole immersion factor is increased overall. Resolution plays a part too. If only using 1080p, you may notice some distortion at larger sizes. However, with 1440p (QHD) or 2160p (4K), distortion won’t be a problem with a larger monitor. Especially, if using 4K, you will want to go as large as you can afford to.